Die Mexikaans se Hoender Potjie! 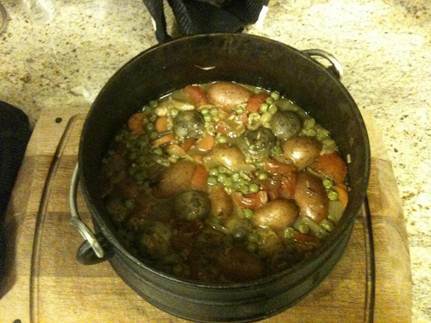 | What a Potjie! Die Mexikaans se Hoender Potjie! So the test had finally come. Die Engelsman moet ‘n Potjie maak vir sy nuwe familie. So to the net we went and surfed for winning Potjie recipes. Unfortunately all winning recipes involved marinading the food and time was not on my hands so I went for what sounded delicious, a Mexican Chicken Pot. But to add a real twist to the proceedings, I was going to make it a healthy potjie which is where all my recipes will ultimately head as I believe full on that there is no need for white starchy carbs when wholewheat/wild substitutes are always better. Well 3 hours later, bottle of Johnnie Walker green label down the hatch, it was without doubt one of the tastiest dishes I have ever had. of course I can’t take all the credit. My father in-law and Potjie trainer Oom Piet guided me all the way and first rule is you don’t cook a Potjie according to time. There is a reason no two Potjies are ever the same, because no two fires are ever the same. SO the real trick is all about the heat of the fire and more importantly the heat of the pot, not too hot but a nice bubble simmer is what we looking for. 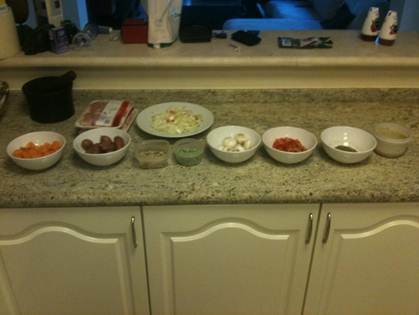 But after this cook off, I cannot wait to get a new pot on the go this week-end and try out my next recipe. Check out tonights recipe below it is 5 star!! Heat Oil, brown few chicken pieces at a time till they golden brown. 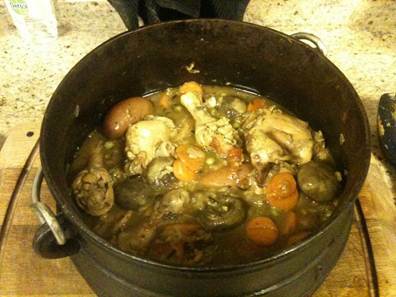 Take chicken out Potjie and brown onions, garlic and chillie. Once soft replace chicken , add water and simmer for 15-20 min.